As promised in Part 1, I have close up pictures! Most of these were taking while the quilt was on the frame. 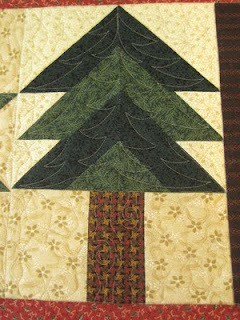 Check out those swags in the outer border. 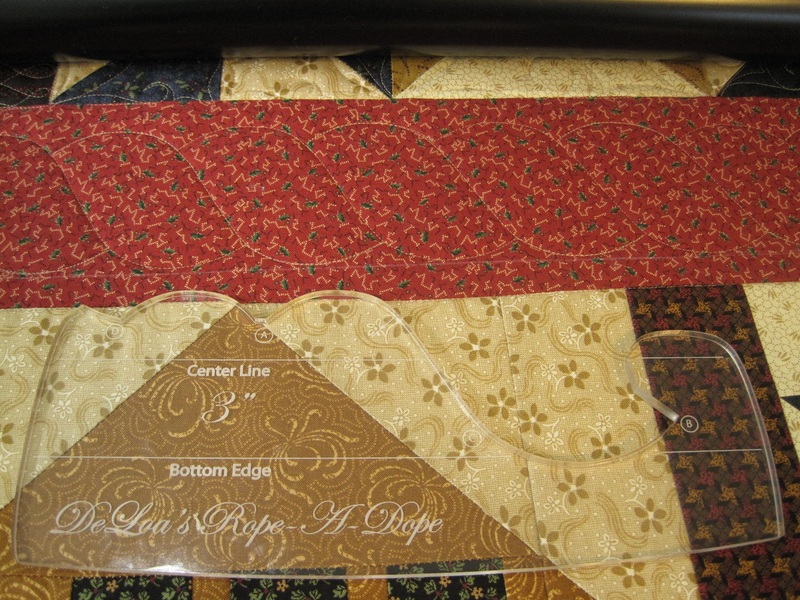 I bought a new template set for doing swags while at MQS in May. I love the way they look and I just can't believe how easy they were. 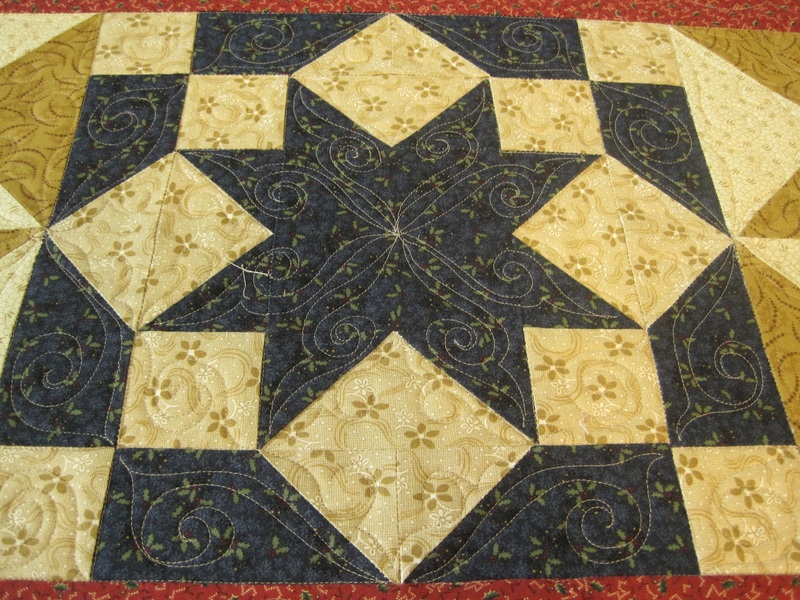 I used Mindy Wylie's Angel Swags to quilt the border. 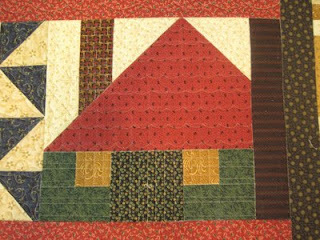 I quilted every house on the quilt differently. It became a mission to think up how I could make them all look like they could live in the same neighborhood, but still have their own personality. 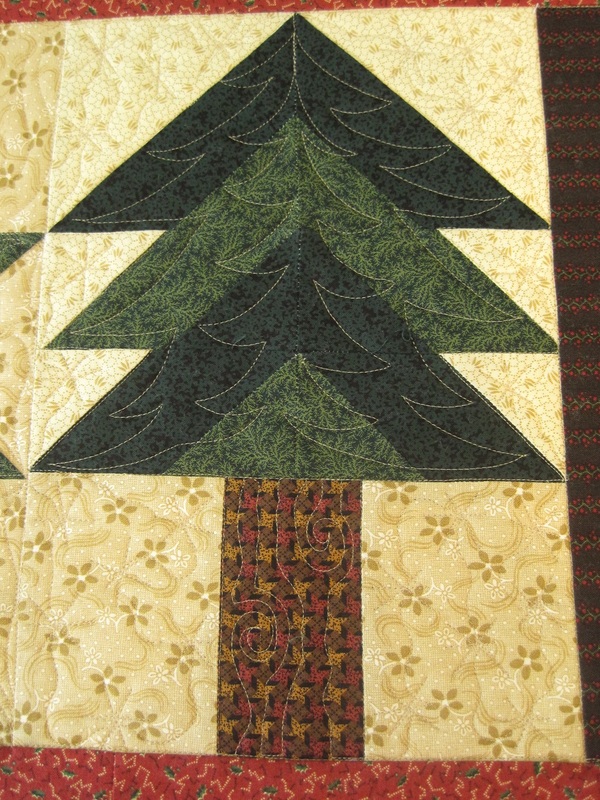 I love the way I quilted the trunk on the trees. 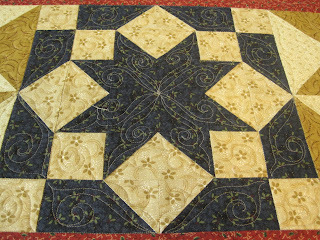 I had fun trying to figure out ways that I could get all they way across the body of the quilt without breaking thread. I think that this is the mission of most longarmers. 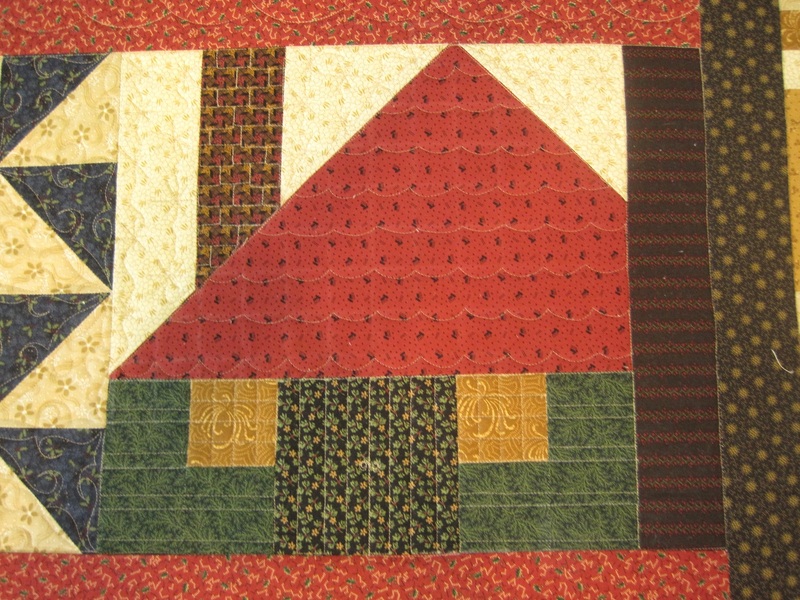 And that included the Stitch in the Ditch. 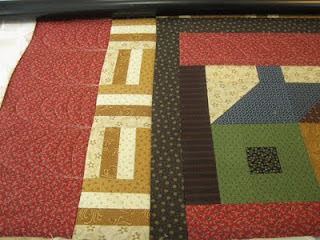 I bought a couple more new templates at MQS. I bought 2 different rope templates. I have used them both and I have to say that I am really impressed with Deloa Jones' Rope-A-Dope! I love when I find new tools that really work for me. Both the Angel Swags and the Rope-A-Dope where terrific finds that I will use often! Where have I been for the last 2 months?